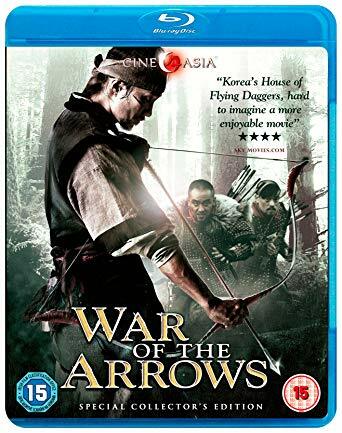 War Of The Arrows starts with youngster Nam-yi (Lee Da-wit) and little sister Ja-in (Jeon Min-seo) narrowly escape death when their father is branded a traitor and killed by rivals in the Chosun dynasty court. Cut to 1636, Nam-yi and the beautiful Ja-in remain in the care of Kim Mu-seon (Lee Kyeong-yeong), a wealthy family friend whose son, Seo-gun (Kim Mu-yeol), has asked Ja-in to marry him. As bad luck would have it, the couple’s wedding day coincides with the Manchu invasion of Korea, resulting in Ja-in and Seo-gun being captured and held prisoner near the Korea-Manchuria border. 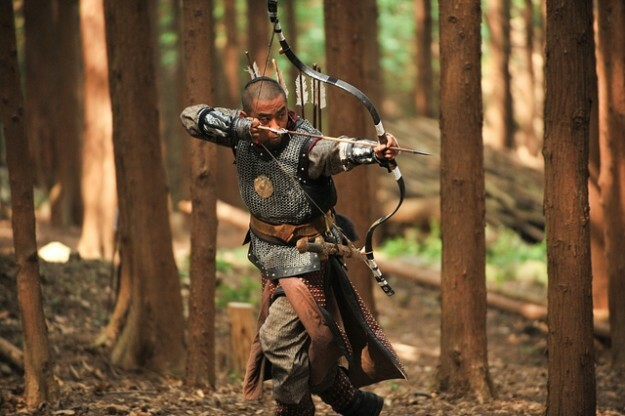 Nam-yi, who has evaded capture, is determined to rescue his sister at any cost and now the battle begins as his skill with the bow and arrow is put to the ultimate test. Another great action/drama from South Korea and although a little slow to start makes up for it with a non-stop last 40 minutes of pure high adrenalin action. The main character Nam-yi is shown as flawed as not being able to forget how his father died and feels as if his life is going to have the same conclusion. Until the rescue of his sister and the battle against the invading Manchu army give him something worth fighting for. The cinematography is first rate and the action scenes very well edited, keeping the pacing of the action flowing nicely and keeping the viewer on the edge of his seat. The Blu ray release by Cine Asia is another fine example of the format, clear crisp 1080p transfer with film grain still intact. Details and colours are fabulous. The sound gives you a great DTS HD MA 5.1 track in original Korean with optional English subtitles. As you can imagine the sound-stage springs to life during the many action scenes. An Interview with Director Kim Han-Min (Cine Asia Exclusive), this lasts 32 minutes, 1080p. Overall a great package, one thing i have to mention is that the BBFC has cut 5 seconds due to animal cruelty (horse fall). This does not distract from the film in any way so should not stop you buying this blu ray or the DVD version.